This month’s Let’s Lunch theme is Green! 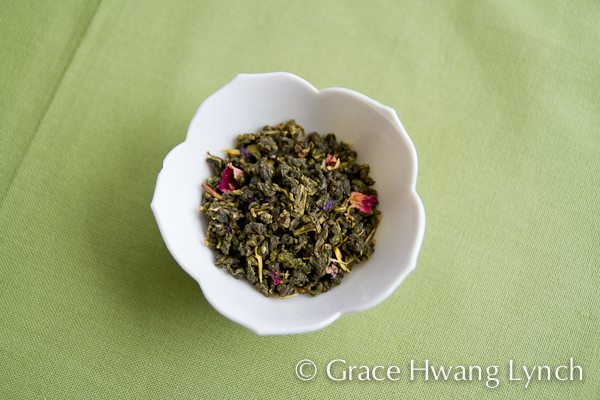 Did you know that all tea leaves start out green, whether they’re marketed as green, black, or oolong? Well, read on, my friend! I met one of Taiwan’s experts on tea, and he shared some do’s and don’ts to make a better pot of tea. Making a pot of tea is as simple as boiling water, right? 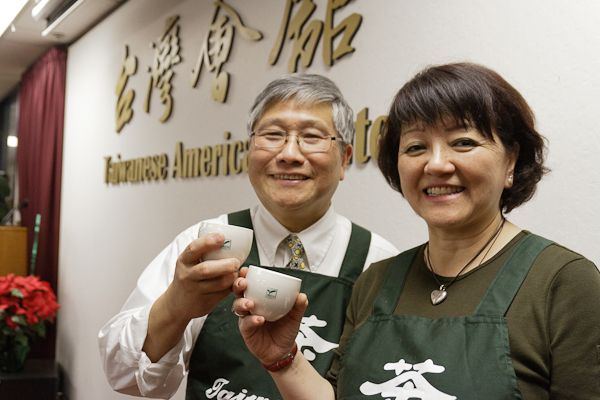 Recently, I had a chance to meet Thomas Shu, a third-generation tea producer and ambassador of Taiwan tea. He and his wife, Josephine Pan, are passionate about oolong teas from Taiwan and frequently give presentations about how to properly steep the leaves to create the best brew. Just don’t call him a “tea master” — that title actually refers to a person who carries hot water to refill teapots in restaurants! Use a clear tea pot, if possible:That way the color will give you an idea of when the leaves have steeped long enough. Add just enough leaves to cover the bottom of the pot. Forget about fussy measuring systems. This rule of thumb yields the proper proportions. Different temperatures for different kinds of tea. 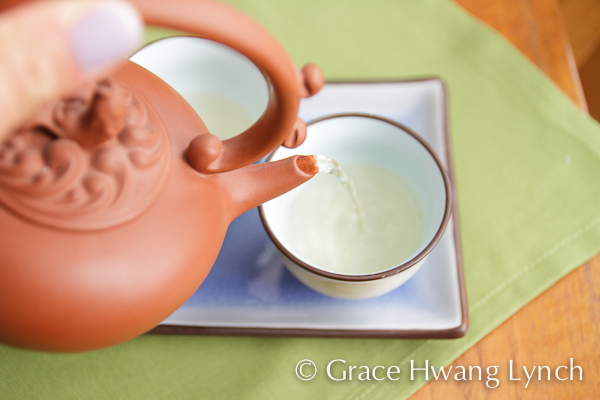 Green tea is the most delicate and requires water that is just under the boiling point. Oolong tea is slightly oxidized and needs water brought to a rolling boil to be poured over the leaves, especially if using whole leaf loose teas, which are often tightly rolled. Black tea is the darkest roast and benefits from bringing the tea right to where the water is boiling to preserve the heat. Steep tea for about one minute. In case you don’t have a clear tea pot, or are one of those people who really wants specific instructions, this is a good guideline. Pour a little tea in each cup, then add more to fill them up. This ensures that each drinker receives a similar balance of brew. Otherwise, the first cup will be markedly lighter than the last cup. Make just enough tea for one round of serving at a time. Tea that sits around for a long time won’t taste as good. Brew more as needed. Tea leaves can be steeped up to three times. The third time around, let the leaves infuse as long as possible, then pour the tea over ice — homemade iced tea! Know that the quality of tea leaves will change from the top of a jar to the bottom. Each time you scoop loose leaves out of a container, it crushes the leaves slightly, meaning the stuff at the bottom will be denser. Use less of the broken tea leaves, as they will release more flavor. Use what you have. In Taiwan (and probably many other Asian cultures), canisters of expensive teas are often given as a hostess gift. It’s considered so luxurious, that the receiver often stashes the tea away, unopened. Shu says that any occasion is an occasion to use the good tea! Keep it simple. 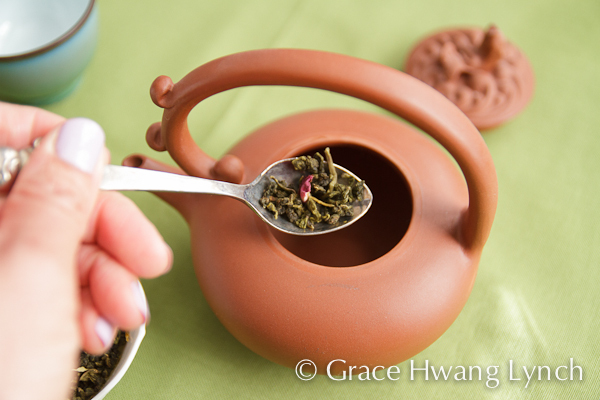 If you don’t have the proper teapot or don’t steep your leaves the right length of time, don’t be stressed. I didn’t have a clear tea pot, although I’m sure it’s only a matter of time before I buy one. Serving tea should be a relaxing experience, and the most important thing is to enjoy it. I like the selection of Taiwanese oolong teas at Lupicia. This one is called Kotobuki and flavored with plum. Also, one thing I appreciated about Shu’s presentation was that he was not promoting any particular brand of tea. Instead, his goal is to raise the awareness of tea from Taiwan, which has long been considered one of the world’s leading producers of oolong tea. He is working with growers to create standardized labeling, packaging, and branding for varietals of oolong tea, so look for Taiwanese tea to grow in prominence. Oooh, now I have to keep an eye out for a clear pot…thanks for giving me an excuse to shop! Good tips! My favorite Taiwan tea is the green gao shan cha, so fresh tasting. Wow, we are thinking right along the same lines with Lets Lunch today – love it! I’m sending this link to a ton of people. If more knew HOW to make a good pot of tea, they would drink it ALL the time. Wonderful post. I drink a lot of tea. These tips are good, I really didn’t know about most of them. 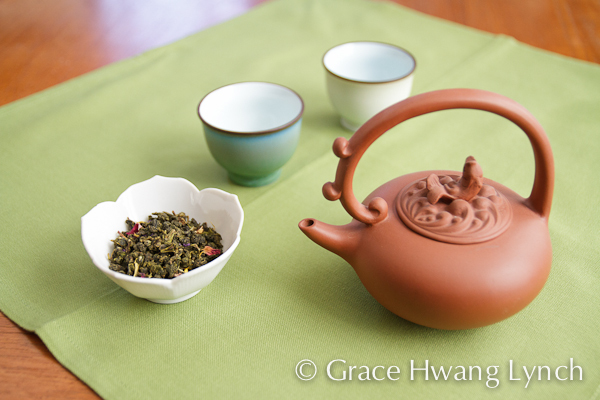 I learned so much from this story ~ I will look for a clear teapot and tea from Taiwan! This post was just my cup of tea! 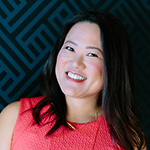 (he, he) My husband’s favorite tea to request when we go out to eat, say, Dim Sum, is Oolong. I would usually prefer to drink green tea or Jasmine. Thanks for the summary–I did not know these things! I just discovered this site and I enjoyed this post. Thank you. Thanks for visiting, Emi! Hope you check back again soon.